After at least one night lying in bed thinking about it rather than sleeping, I’ve picked my next project, and it is a big one. I’m going to try to replicate this incredible coat, without the fur collar and cuffs. I found this beauty in the Mill Street Vintage shop on Etsy a year ago. It’s from the 60’s and is by Winkelman. I thought about it constantly for days, maybe even weeks. I would have happily bought it, despite the hefty price tag, if it would have fit around my hips and backside. 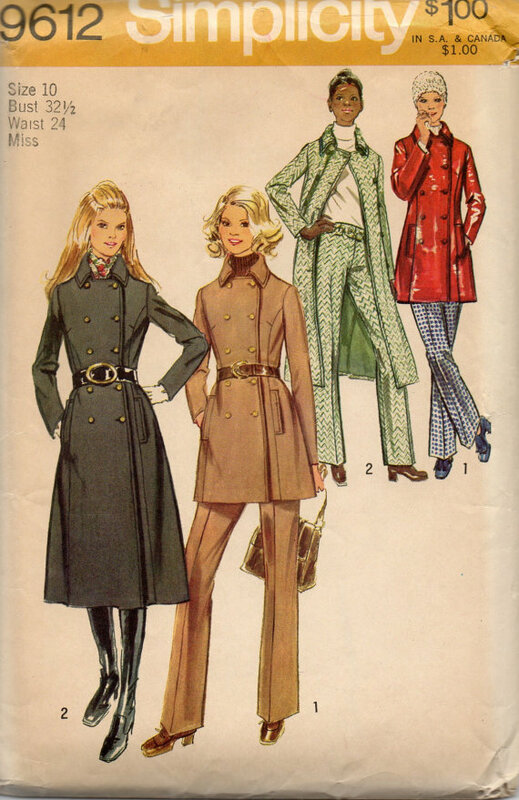 So despite not having a pattern and having never made a jacket or coat before, I’m going to try to make it. I scoured Etsy and eBay and found two patterns that could get my going: Vogue 1939 – but the only copy I can find costs $95, so um, no – and this one, which I found uncut in my size for $9 shipped. This is not my size – it’s just the best picture I can find. It arrived on Monday and I started my first muslin last night. 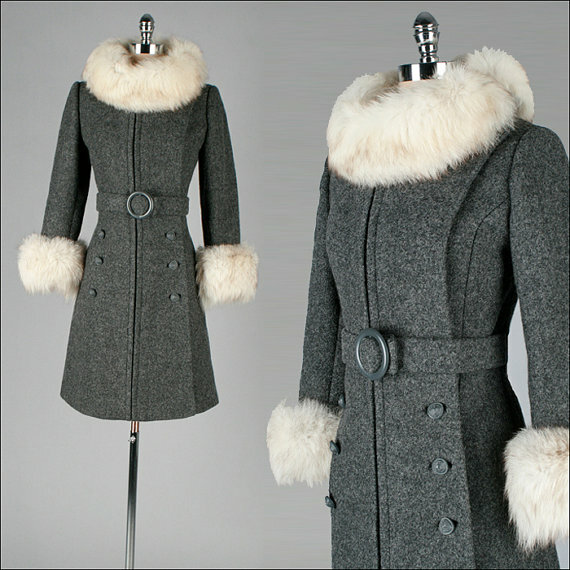 I had planned to make the coat in grey, just like the picture (yes, I seem to be on a grey kick right now), but when I got to Winmil I found a coat-weight wool in brick red for $12.98/yard. It’ll be tough to find a belt buckle and buttons to match, but that is a challenge I’m willing to accept even if it may require another trip to NYC — because yeah, twist my arm. I’m not sure what I’ll use for lining just yet, but chances are this will take more than one muslin, so I think I have some time. If you have any suggestions, please let me know.